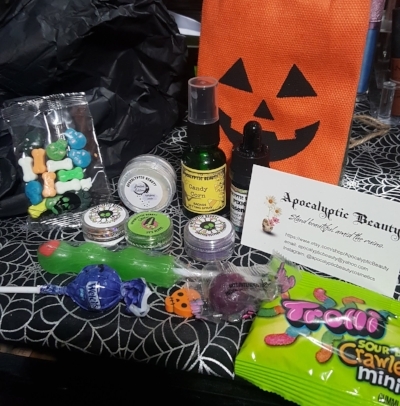 After a crazy, insane weekend I am excited to see that I finally got my Treat Bag from Apocalyptic Beauty!!!! 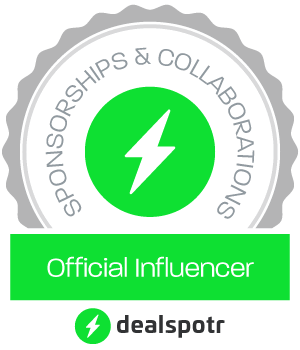 I am stoked to share what goodies I got with you! 5. Spooky Candy and other surprises! Let's get to the goods! I already have the Chamomile one and I love it!!! 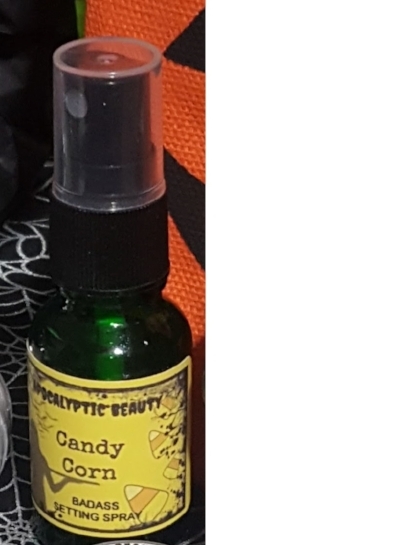 This one smells just like Candy Corn!! I love it! Both of these colors are beautiful! I can't wait to use them! 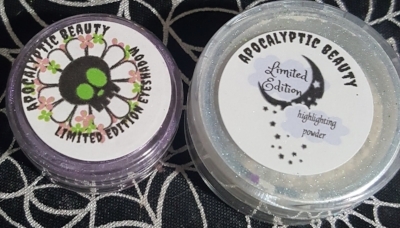 I have been looking at these glitter blends and I am so excited that I can get to try them!! 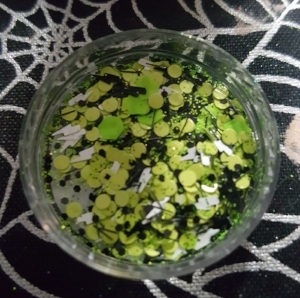 This one is so cute with black and lime green dots with glitter and little lightning bolts! 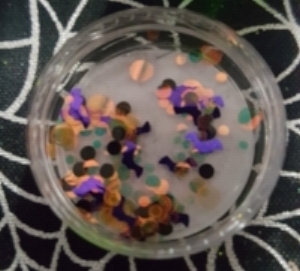 Fright night has all the colors of Halloween including little bats! The hardest thing is going to be what should I use first! Pictures don't do this justice! 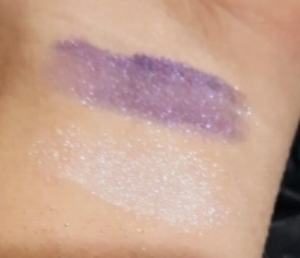 It's so sparkly and mesmerizing! 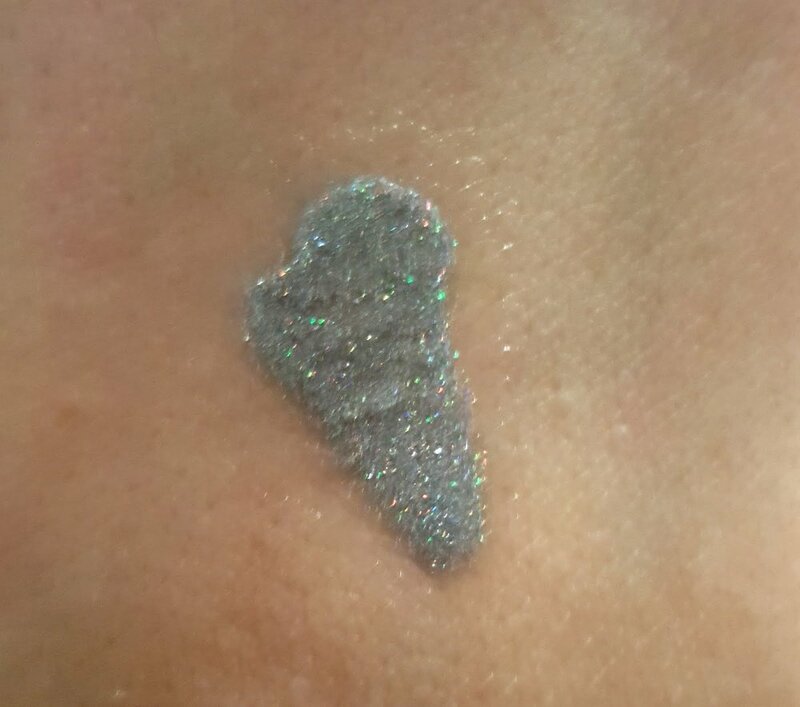 Normally, I don't go for this much glitter but I...CAN'T... LOOK...AWAY!!! 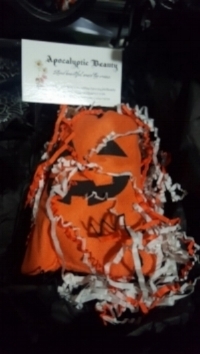 Did you miss the Treat Bags for Halloween? 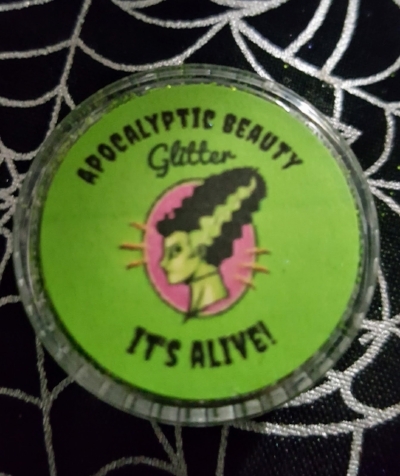 Keep an eye out for Apocalyptic Beauty's Goth Gift and Spooky Stocking coming Black Friday!! Interesting in something you see? use code NIGHTSHADE for 20% off your order!